To engage in the concrete industry, if we want to get a good profit, we must first have a set of high performance and reliable concrete mixing plant equipment, and the premise of a good equipment is to choose the manufacturer. How should the customer choose? 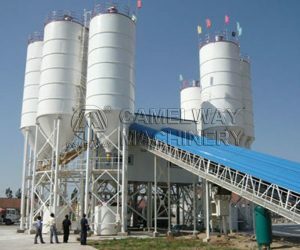 Customers need to investigate whether the manufacturers of concrete mixing plant have good credit, reputation, certain production strength and production scale. Customers need to inspect the customer group of the manufacturer of the concrete mixing station equipment to determine the manufacturer’s reputation. Whether the manufacturer has the relevant installation and commissioning, operation training, warranty, vulnerable parts and technical guidance and other aspects of the policy and system. Investigate whether the manufacturer has a perfect and satisfactory after-sales service, such as how the equipment should be solved during the operation, such as failure. This entry was posted in Solution and tagged concrete baching plant, Concrete mixing Plant, FAQ by camelway. Bookmark the permalink.